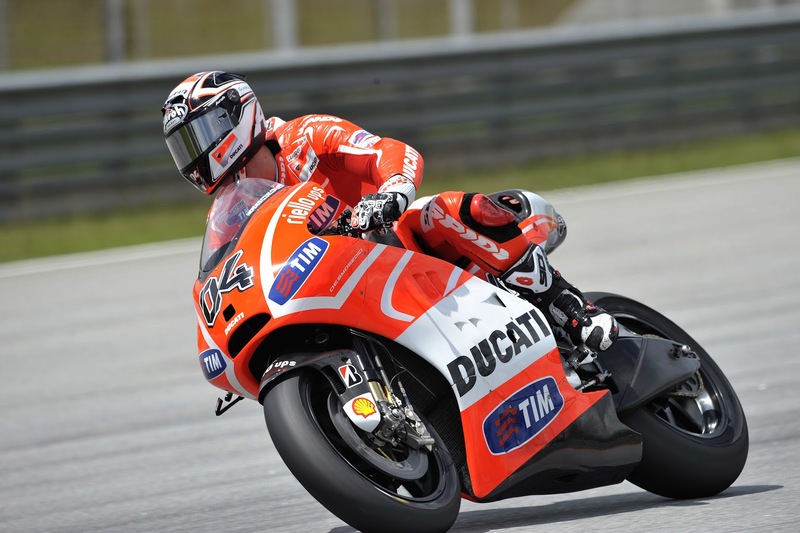 With the extreme weather conditions that are typical in Malaysia, hampering much of the first day of testing in Sepang. The fastest lap times were set in the morning as rain halted play in the afternoon. Factory Ducati riders Nicky Hayden and Andrea Dovizioso have both noted that they have a slightly better feeling with the troublesome Desmosedici; leaving Dovi in particular, seemingly upbeat. The two riders sit 8th and 9th respectively in the standings, just behind Pramac rider, Andrea Iannone. Former Gresini CRT rider Michelle Pirro spent the day testing the “laboratory” Desmosedici, whilst Hayden and Dovi were developing the electronics and frame on the GP13. Next Next post: Guest Blog: The New Faces of Moto3, part 1.